Keith has been completing the truss and it is now mounted onto the mast. Laura has now started to fabricate and attach the truss and spreader guys. 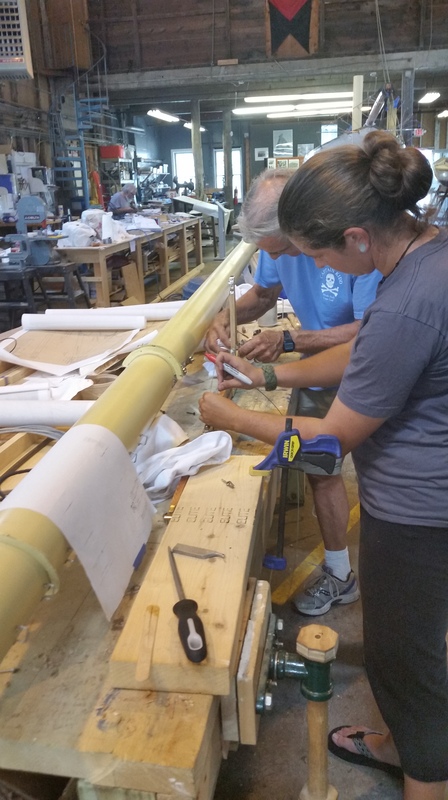 Meanwhile, Laura and Herb have been studying photos of the Reliance bowsprit and are now completing all the little bowsprit details. They have also completed the upper ends of the standing rigging and, as shown, have them tarred, varnished, and ready to go. 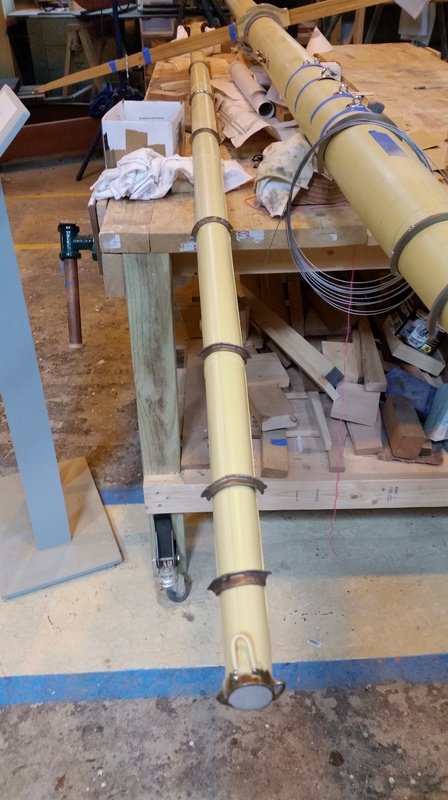 We’re just a week or two away until the mast can be hoisted upright in our mast jig and the standing rigging can be completed at deck level. 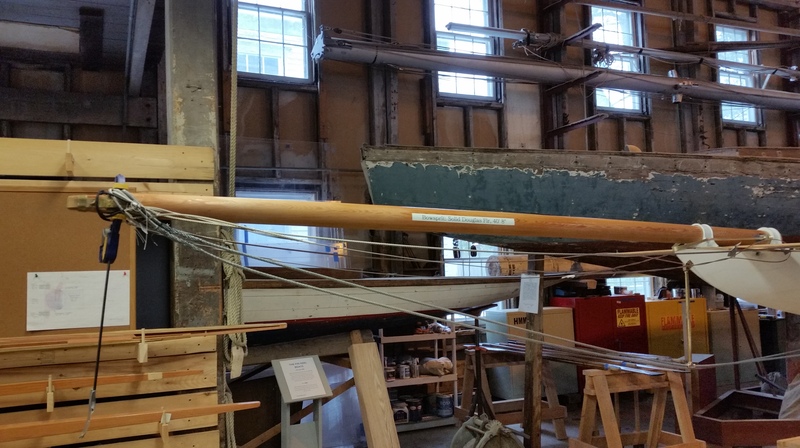 This entry was posted in Project Manager's Welcome and tagged America's Cup, bowsprit, Bristol, building 28, herb, Herreshoff, Herreshoff Marine Museum, HMCo, jigs, Keith Bradley, laura, mast, RELIANCE, Reliance Model, RELIANCE Project, rigging, spreader, steve, truss on September 5, 2015 by Herreshoff Marine Museum/America's Cup Hall of Fame. Saturday was a whirlwind. 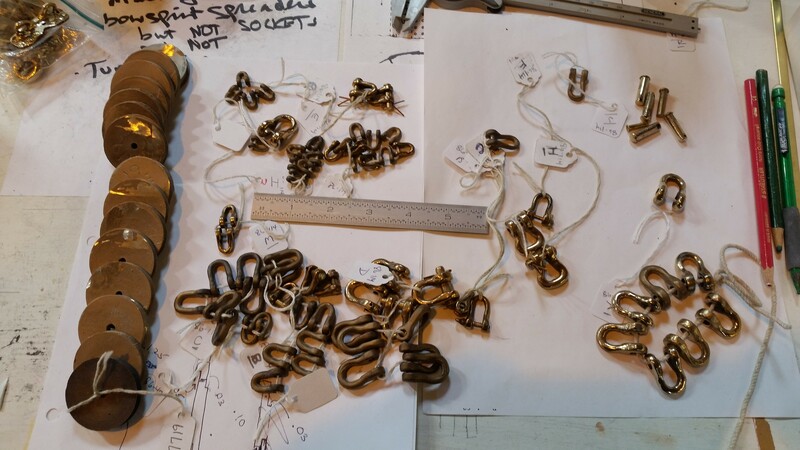 Laura was splicing halyard pennants; these are wires spliced into a circle in an endless loop. She unravels a piece of wire 7x the length of the loop, then re-braids the wire as you would a grommet. Unfortunately, her day ended before I could take a picture. Mike brought alot of hardware from Harrison Casting; you can see seven half-round angle irons on the gaff. 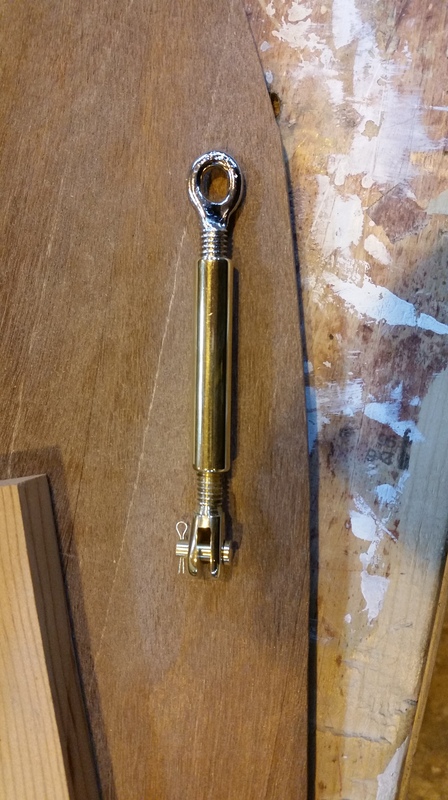 We’ve started to file and shape these to take eye-spliced ends of the peak halyard span wires. 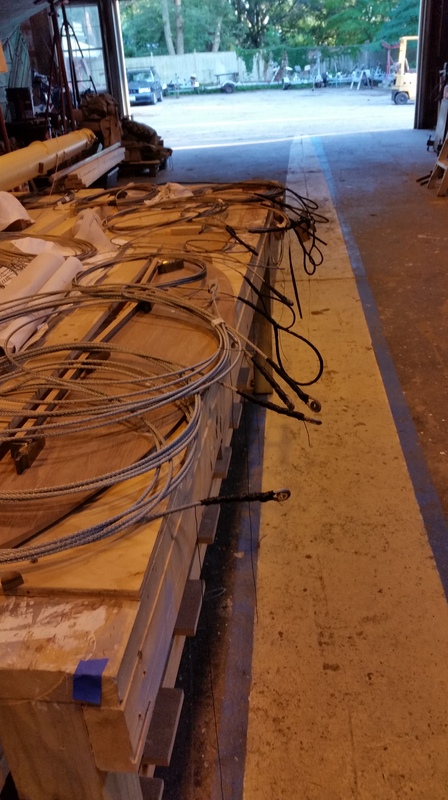 Another picture shows the angle irons to hold eye-spliced loops of the forestay, upper main shrouds, preventers, and throat halyard. We’ve started to grind, file, and persuade these into shape. You can also see that work continues the spreader. Burr dropped off three new turnbuckles with incredible eyes. 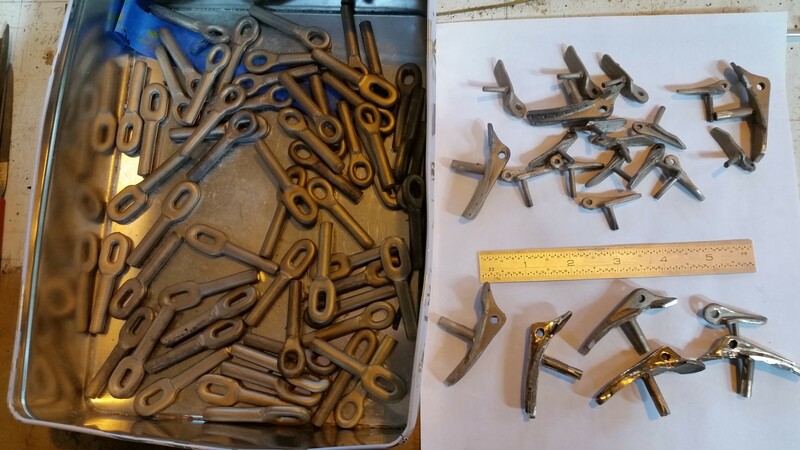 These and three other turnbuckles he delivered earlier have been shipped off to a local machining center to drill out slots typical of Herreshoff Manufacturing Co. turnbuckles. We can’t wait for this to be done so we can nickel plate them. They’re a critical path for rigging the bowsprit and mast!!! Bill also stopped by and brought another 12′ of sail track for the boom. This has been provided by our friends: the Wrights at AMA Engineering. Our Roger Williams University intern Zach created our new “Wonderfully Modern Herreshoff Manufacturing Co.” exhibit from lecture material given earlier this year by the team. And of course Zach and Sandy spent a lot of time sprucing up Building 28 for opening day on Sunday. RELIANCE is really looking great and we’re hoping our new exhibits will excite you as well. 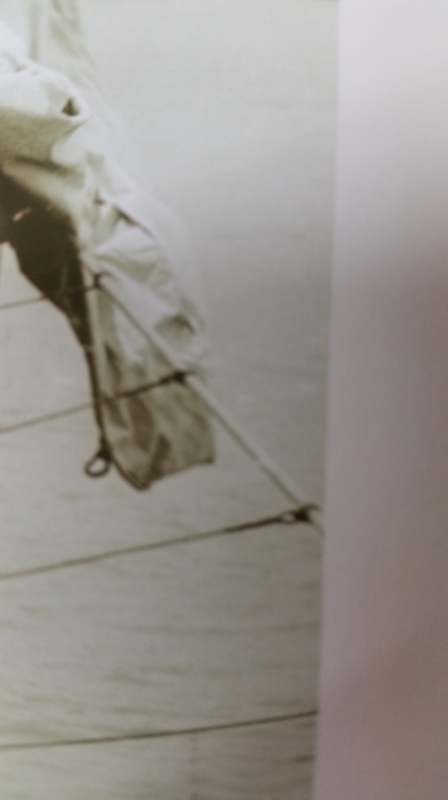 This entry was posted in Project Manager's Welcome and tagged America's Cup, Bill Lawton, bowsprit, drilling, Herreshoff, Herreshoff Marine Museum, irons, mast, RELIANCE, Reliance Model, RELIANCE Project, rigging, Sandy Lee, shrouds, splicing, spreader, turnbuckles, zach on April 29, 2015 by Herreshoff Marine Museum/America's Cup Hall of Fame. 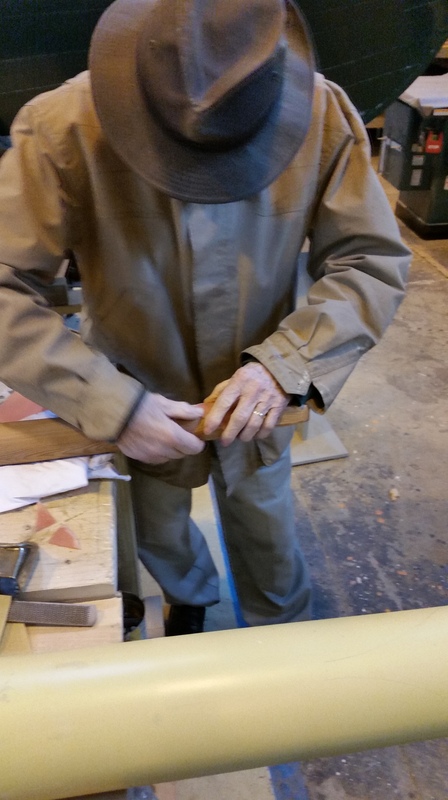 Mike has been making wax molds for the angle iron cheeks on the mast. 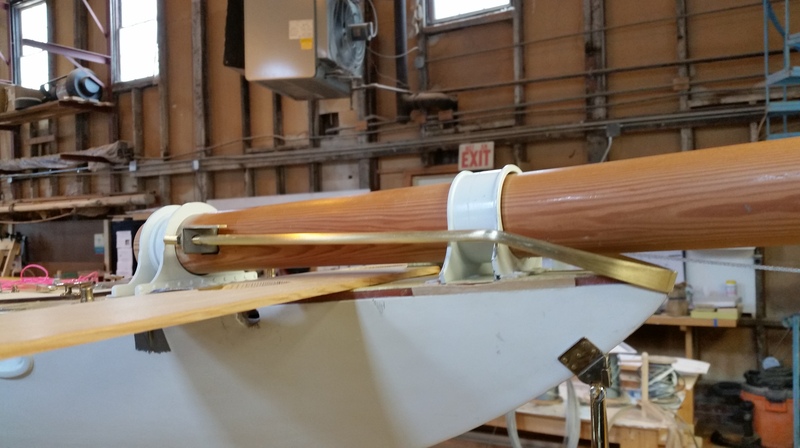 Now, he’s also making a new and improved bowsprit cone. 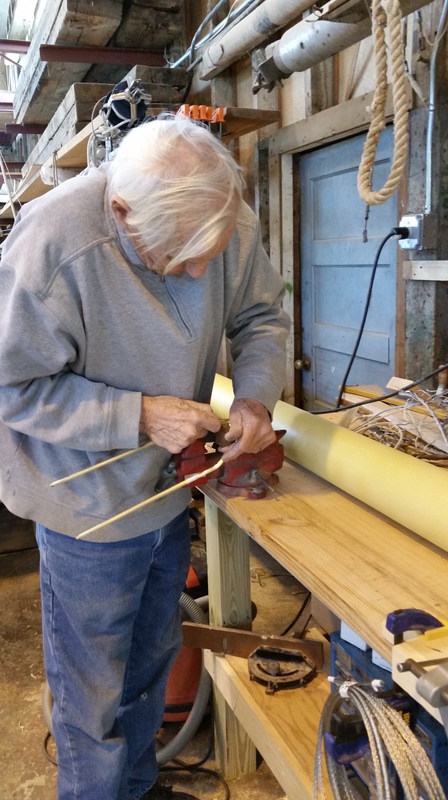 Meanwhile, Bill continues to work on the spreader. 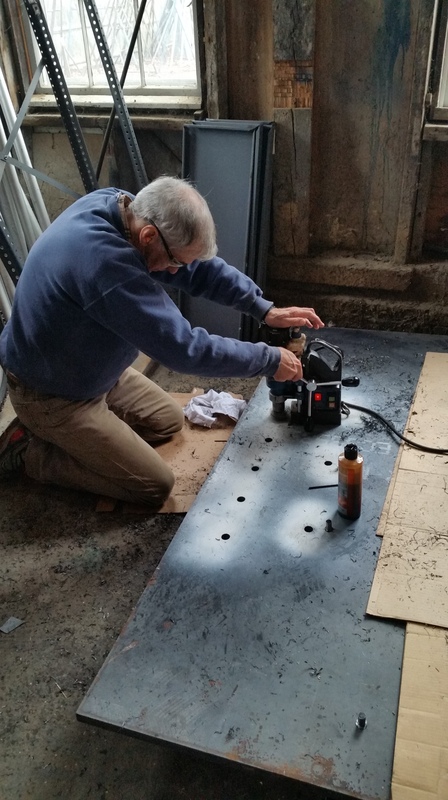 Keith used a mag drill to bore out the holes in the display base to which the keel blocks will be bolted. On a side note, Keith and Bill took some time off to respond to an SOS from volunteers making Herreshoff Museum’s new steam engine exhibit. 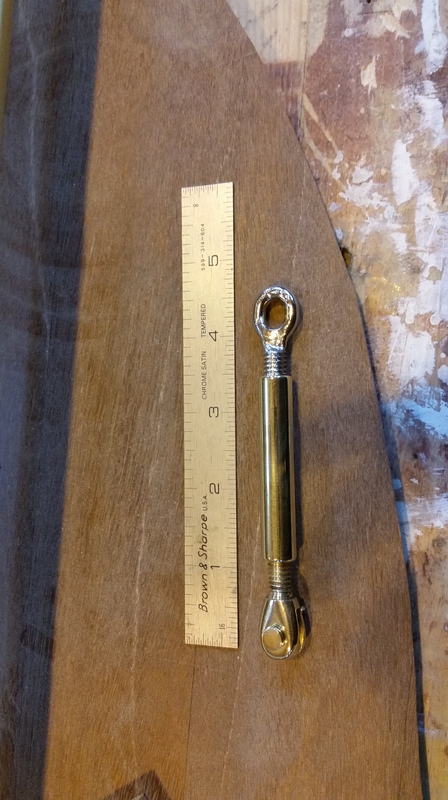 It looks like we’ll be making some display stands. You all really need to see this exhibit! 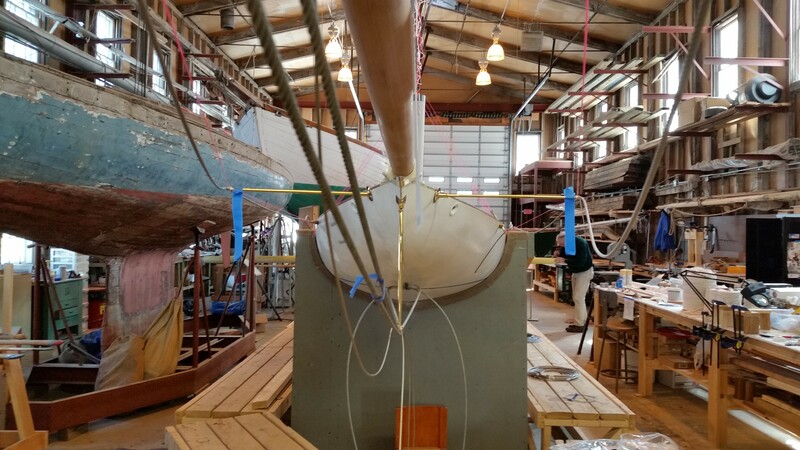 This entry was posted in Project Manager's Welcome and tagged America's Cup, Bill Lawton, bowsprit, cheeks, cone, Herreshoff, Herreshoff Marine Museum, iron, keel, Keith Bradley, Mike Mirman, molds, RELIANCE, Reliance Model, RELIANCE Project, spreader, steam engine, wax on April 11, 2015 by Herreshoff Marine Museum/America's Cup Hall of Fame. Keith put final touches on our spreaders; it really changes the whole boat! We can but imagine how large these were in real life. Tim and Keith worked on tapping holes for eyes to go on the mast and we’ve screwed them in place temporarily to get everything aligned. 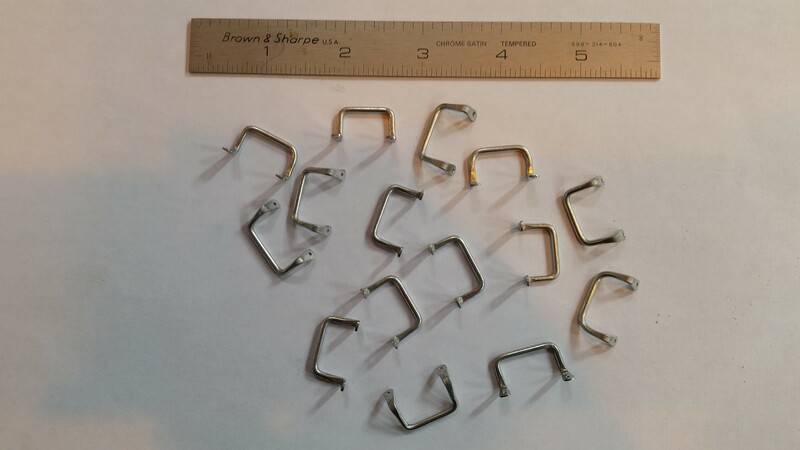 Soon we’ll remove them and send them to a nickel plating company along with some other fittings. 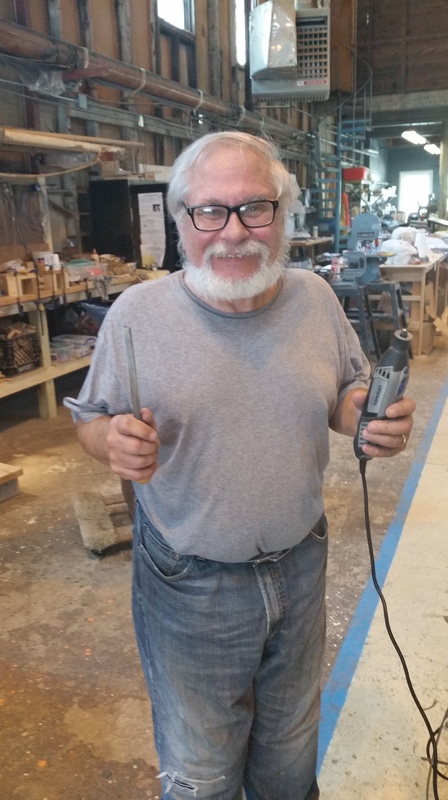 Tim also finished up some leftover woodworking tasks while I was grinding and polishing new boom fittings that Mike delivered from our casting company. 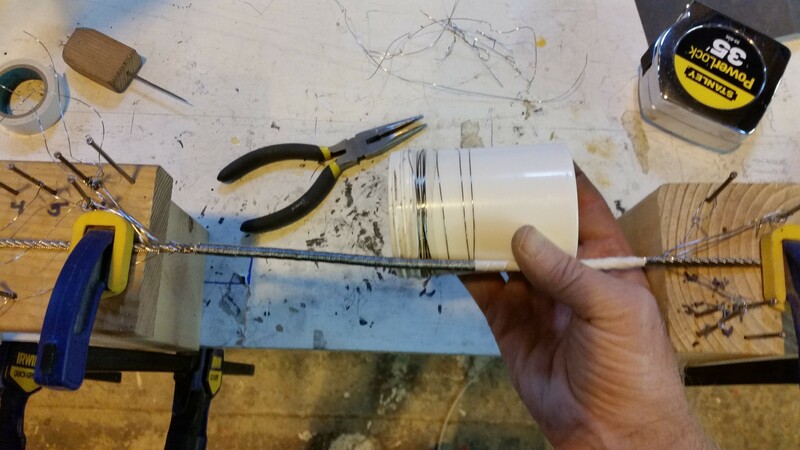 Meanwhile, Laura, our rigger, has been doing a great job wire splicing as per usual, and even showed us how to make some tacks from wire grommets! 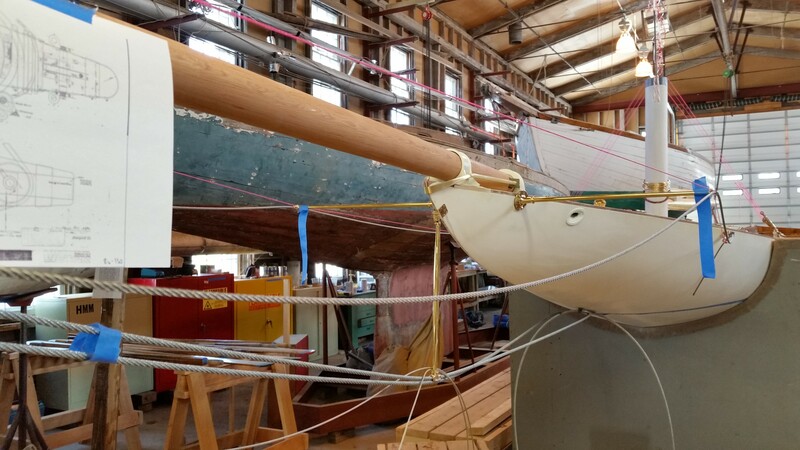 This entry was posted in Project Manager's Welcome and tagged bowsprit, casting, eyes, Herreshoff, Herreshoff Marine Museum, Keith Bradley, laura, mast, Mike Mirman, RELIANCE, Reliance Model, RELIANCE Project, splicing, spreader, tim on March 11, 2015 by Herreshoff Marine Museum/America's Cup Hall of Fame. 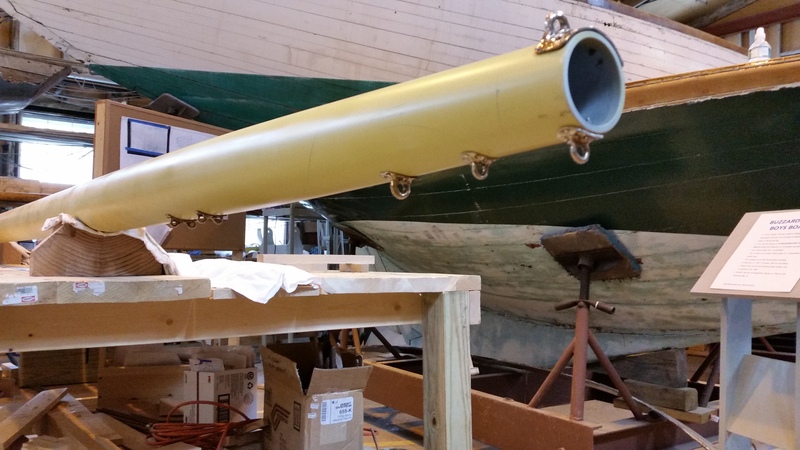 Mike and Sandy have been working on the angle iron “cheeks” on our mast. 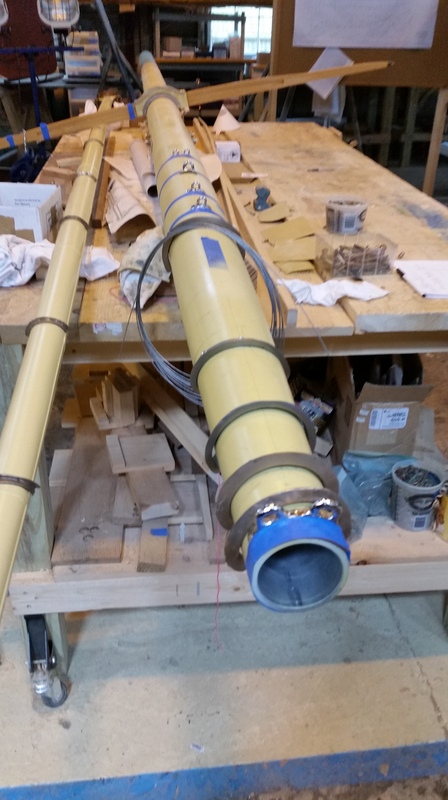 The forestay, preventer stays, throat halyard, and upper main shrouds will hang from these mechanisms. We’ve also got angle irons for mounting the spreader to the mast. 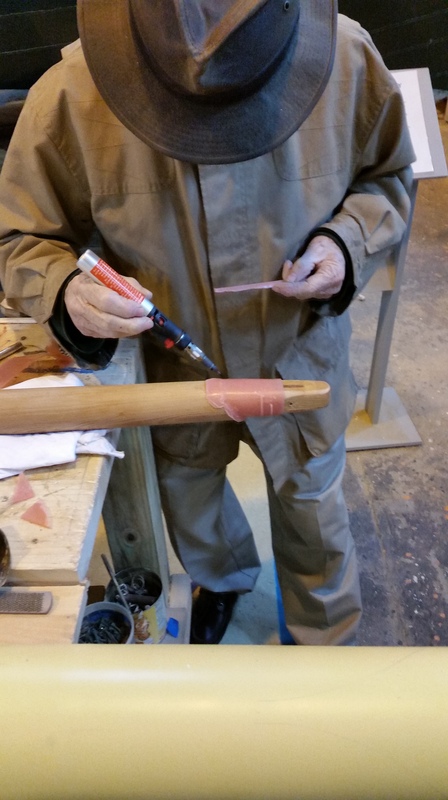 Mike will make wax molds of these complex, compound curve angles. In the meantime, our worm, parcel, and serve crew has been focusing on the bowsprit area and standing rigging. Our splicing and rigging crew have yet to catch up. 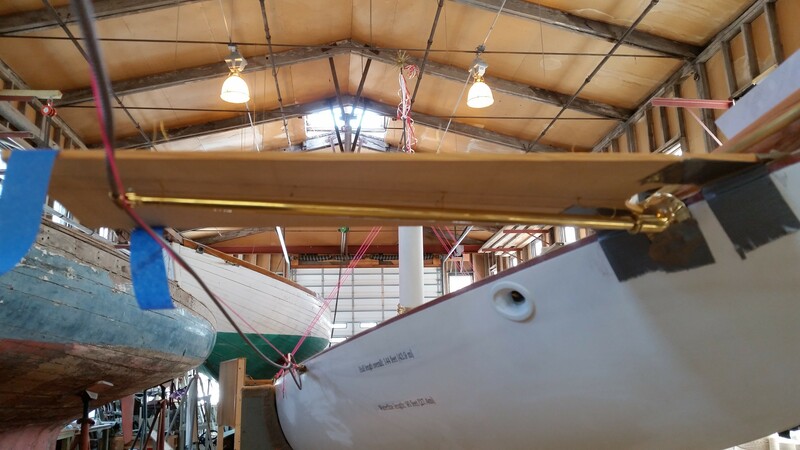 This entry was posted in Project Manager's Welcome and tagged angle, bar, bowsprit, Bristol, building 28, forestay, halyard, Herreshoff, Herreshoff Marine Museum, irons, preventer, RELIANCE, Reliance Model, RELIANCE Project, spreader, stays on February 18, 2015 by Herreshoff Marine Museum/America's Cup Hall of Fame. Martin Combs from North Carolina sent us the last half of our “manila” cordage, so now we have our full allotment of scale 7/32″ and 1-1/2″ through 4″ manila. Except for the extra small stuff, manila was measured in circumference, unlike wire rope, which is measured in diameter. The big spool on the end is overwhelming, so we went back and checked. Research concluded: RELIANCE carried 3,000′ of 4″ manila line! 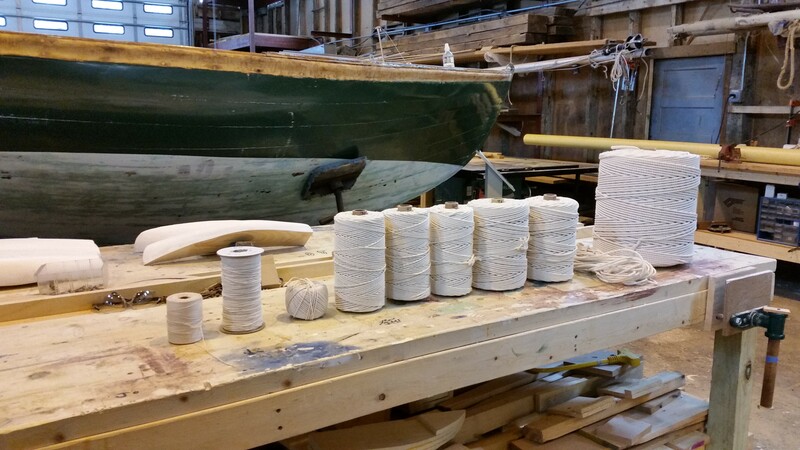 We’ve also been worming, parceling, and serving wire rope; in this case, the bowsprit shrouds. 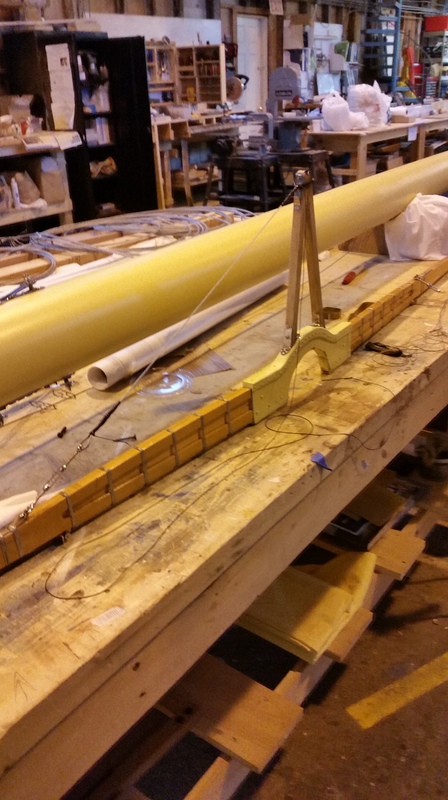 This entry was posted in Project Manager's Welcome and tagged bowsprit, Herreshoff, Herreshoff Marine Museum, manila, parcel, RELIANCE, Reliance Model, RELIANCE Project, rope, serving, shrouds, wiring, worming on February 13, 2015 by Herreshoff Marine Museum/America's Cup Hall of Fame.